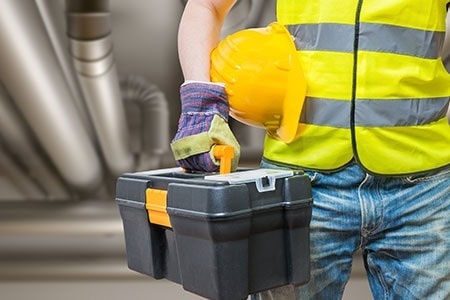 Learn more about the trusted HVAC mechanical contractor of many business owners in West Conshohocken and nearby locations. At R. A. M. M., Inc., we make sure to provide premium HVAC services that are tailored to fit the requirements of our commercial, industrial and institutional clients. You may give us a call or send us an email for your HVAC-related concerns. Don’t wait for your HVAC and refrigerator units to malfunction before hiring experts to check on them. Rely on our specialists at R. A. M. M., Inc. We’re a full-service HVAC mechanical contractor based in West Conshohocken, PA. Our company believes that effective communication is the key to good team coordination. We put our company’s financial and system performance at risk in every project. That is why our team of HVAC professionals is dedicated to prioritizing the preferences and interests of our clients in the process of delivering fast and cost-effective results. Our story began when Eugene and Diane Krumenacker founded our company in 1988. Since then, the Krumenacker family has possessed full ownership of our business. Gene Krumenacker Jr., our president, believes that our success is due to our company’s integrity and ability to prioritize each client’s needs as we produce services of the highest quality. Mark Krumenacker, our vice president, handles our daily concerns on field safety and meeting deadlines, so all our projects are delivered successfully. In addition to their formal business education, both Gene and Mark are steamfitter journeymen, which give them an edge in understanding all aspects of the HVAC industry. R. A. M. M., Inc.